Towel's Beaded antique flatware features a simple, classic teardrop-shaped handle that will add simple elegance to your decor and is an easy match for any table setting. 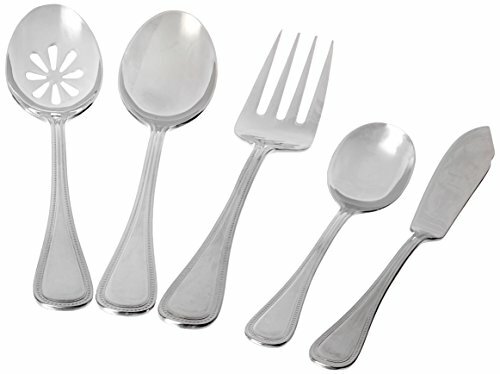 This 45 piece set includes: 8 salad forks, dinner forks, dinner knives, dinner spoons, and teaspoons plus 1 tablespoon, pierced tablespoon, cold meat fork, butter knife and sugar spoon. Crafted of superior quality 18.10 stainless steel. Easy to clean, dishwasher safe. If you have any questions about this product by Towle, contact us by completing and submitting the form below. If you are looking for a specif part number, please include it with your message.